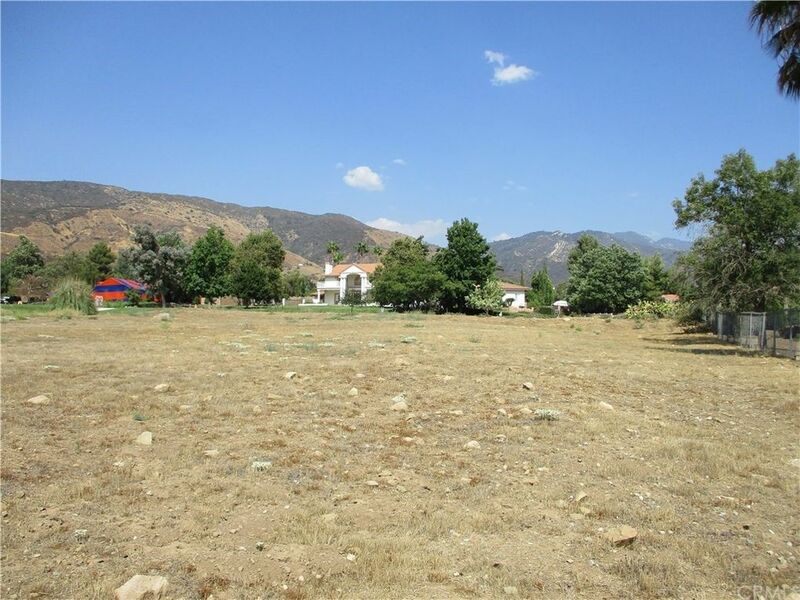 RARE NORTH BENCH 1 ACRE LOT IN AREA OF CUSTOM HOMES, WITH VIEWS OF MOUNTAINS & HILLS. CLOSE TO HWY 38 WHICH IS MINUTES TO THE FOREST, AND THE BACK WAY TO BIG BEAR, AND TO REDLANDS, HIGHLAND, AND SAN BERNARDINO. CURBS AND GUTTERS IN. UTILITIES MAY BE STUBBED INTO LOT. HORSE PROPERTY. BUYER TO VERIFY UTILITIES, AND USE WITH CITY. LAND IS FLAT WITH SLIGHT DOWN SLOPE FROM STREET, AND IS MOSTLY USABLE.